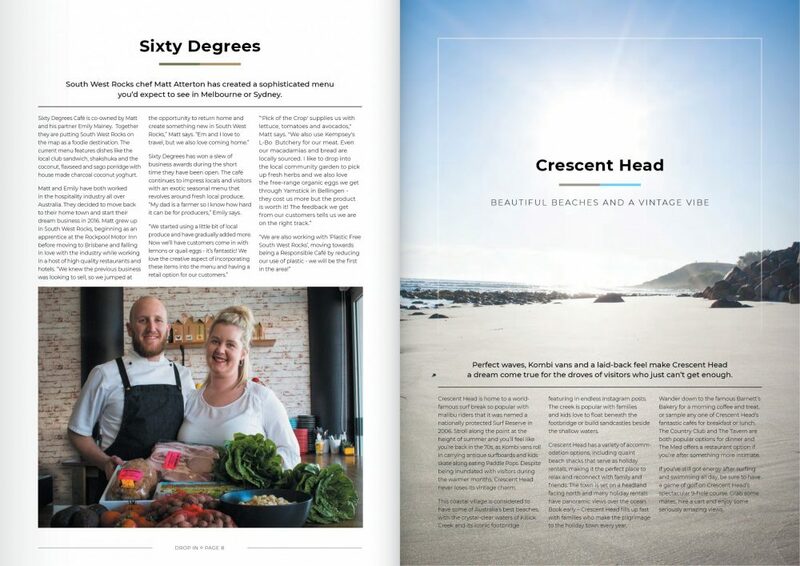 I was asked to create a visitor guide that was took on a lifestyle magazine format, highlighting not only the wonderful attractions of the region but also the personalities that have chosen to live and work there. This was a great brief as it created the opportunity to design a contemporary and engaging publication, one that was both aspirational and inspirational. 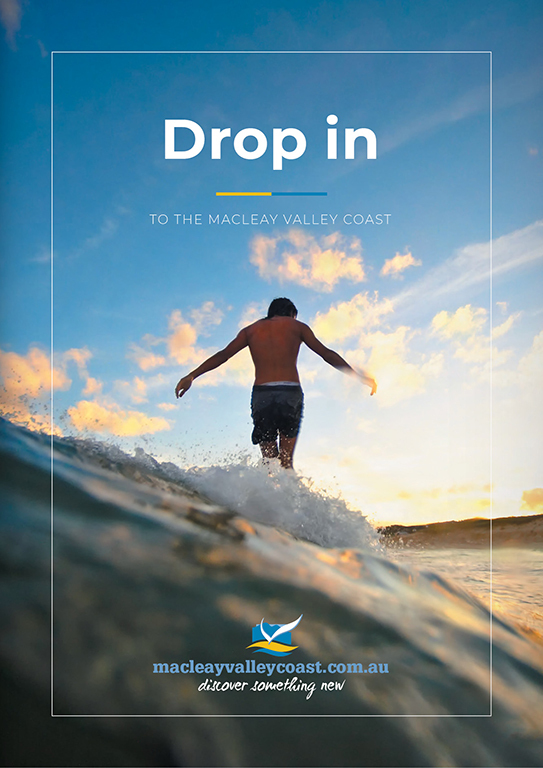 With my regular copy writer Geordie Bull, I went on up to The Macleay Valley Coast and interviewed and photographed several locals who told their own unique stories about why the Macleay Valley Coast is special to them. 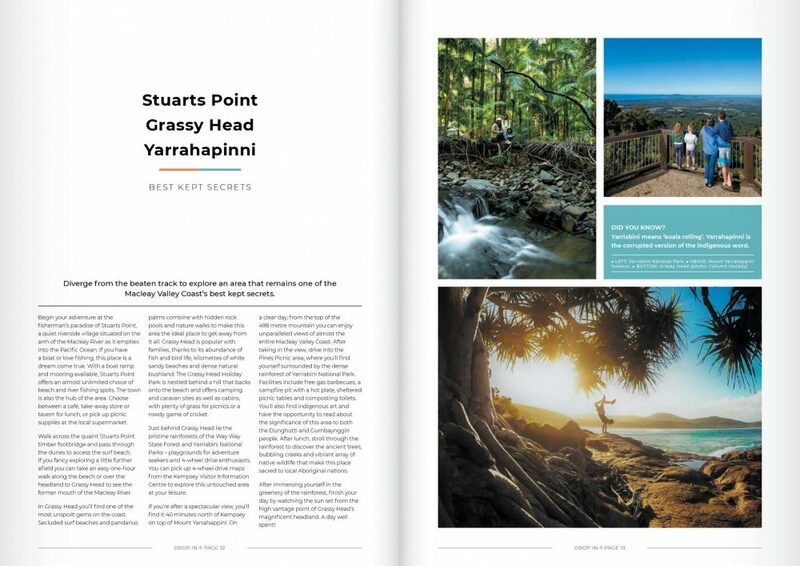 This allowed us to create a publication that offers visitors a much greater insight into the region. The community response has been great! 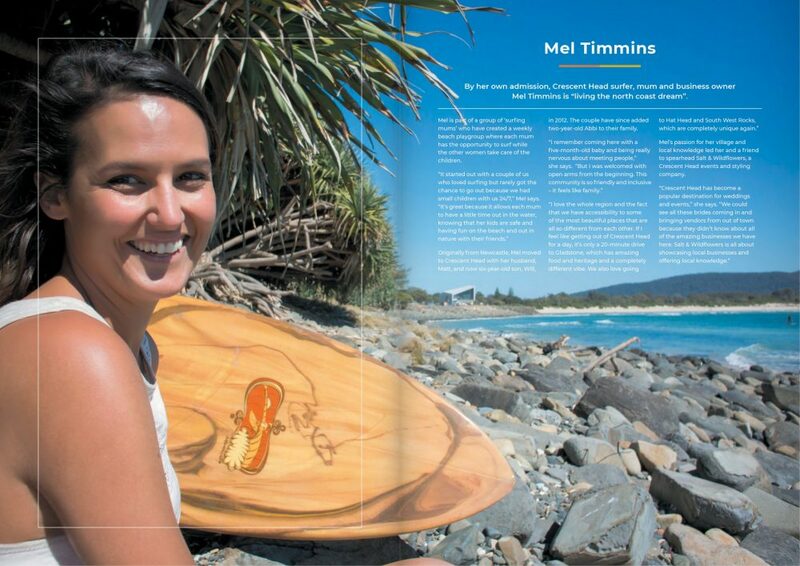 I just wanted to express my appreciation and congratulations on the “drop In” magazine/brochure. From everything to do with the feel of it (great selection of paper) to the words and pictures get a huge 10 out of 10 from me!! It is modern, refreshingly “today” and has involved young people that are making up the future of the macleay. Not too wordy, lots of great pictures and resident involvement. May I please have this passed onto those concerned and the councillors. Thanks to the photographers whose stunning images help to create a beautiful magazine and to Geordie Bull for both her copy writing and management skills on this project.